The crossroads between Central and South Asia is yet to be discovered by visitors. 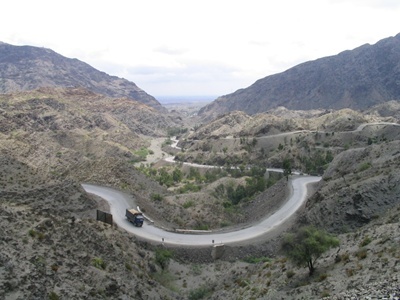 Khyber Pass Road is known from its historical contribution to society, through exploited combats and never-ending distribution, is one of the most talked-about places in Central and South Asia. Being the major passageway for two countries namely Pakistan and Afghanistan, Khyber Pass Road has been a great discovery for Islam people. It is a 33-mile passage with only three meters as its width and a cliff of almost 200 meters high. In the 18th century, it was just a small road that was constructed by the British people and was lately converted to a highway on the following century. Visitors visit Khyber Pass Road since it is known to be a legendary mountain pass in the whole world. In ancient times, it was the strategic military location of soldiers and armed forces from different countries. During winter season, the mountains that surround the road are sometimes covered with snow which makes the journey more remarkable. Today, both ends of this course have its own villages and serves as a highway for both countries and trading system for refugees. It sure was the means of war from the past, but not on our time. Now, it serves as a visitor spot which catches the attention of thousands of visitors every year even big celebrities. Never miss this opportunity to visit the historical mountain passage in the universe. Standing or just even driving along this road makes you feel like you have traveled and experienced the soundless battle it has been through. Do not ignore the wonderful and enthralling sensation this happening has to give and let your historical sanity live once more. i need to know a lot more about khyber pass, i have a report due on the 29th and i have to get it in bcuz it conts for a big part of my grade. it is worth 100 points so i need a lot more facts and stuff about khyber pass plz help!!!!! i can help you cuz i am resident of that area.. Such an helpful information!! I’m doing a project about Afghanistan (even I’m a Filipino) and it helps me a lot!! !